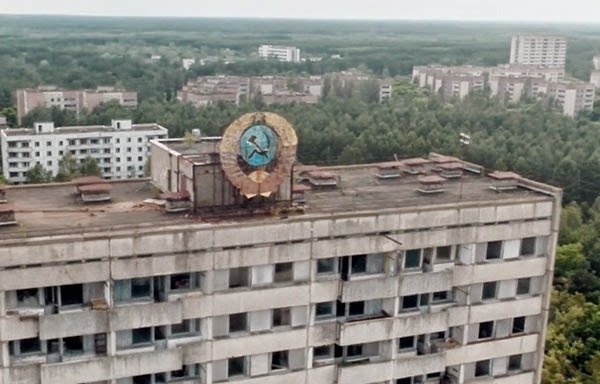 A short video that captures the eerie, post-apocalyptic city of Pripyat which was abandoned after the Chernobyl nuclear power plant disaster. Once home to 50,000 people, the city was evacuated after the disaster sent large quantities of radioactive particles into the atmosphere over parts of the Soviet Union and Europe. The video, which Danny shot for a 60 Minutes segment, documents the first time the area has been filmed from the air using a camera mounted on a drone. Chernobyl is one of the most interesting and dangerous places I've been. The nuclear disaster, which happened in 1986 (the year after I was born), had an effect on so many people, including my family when we lived in Italy. The nuclear dust clouds swept westward towards us. The Italian police went round and threw away all the local produce and my mother rushed out to purchase as much tinned milk as possible to feed me, her infant son.